As one city celebrated a historic sports win 26 years in the making, over on the West Coast, Oakland, California, threw a victory parade for the second year in a row (and the overall third in four years) for the Golden State Warriors, who seem to be untouchable and unbeatable at this point. Stephen Curry held court from a double-decker bus, neither JaVale McGee nor Jordan Bell could keep their shirts on, and the mayor of Oakland was on hand to take part in the festivities, along with thousands of fans on the streets of The Town. 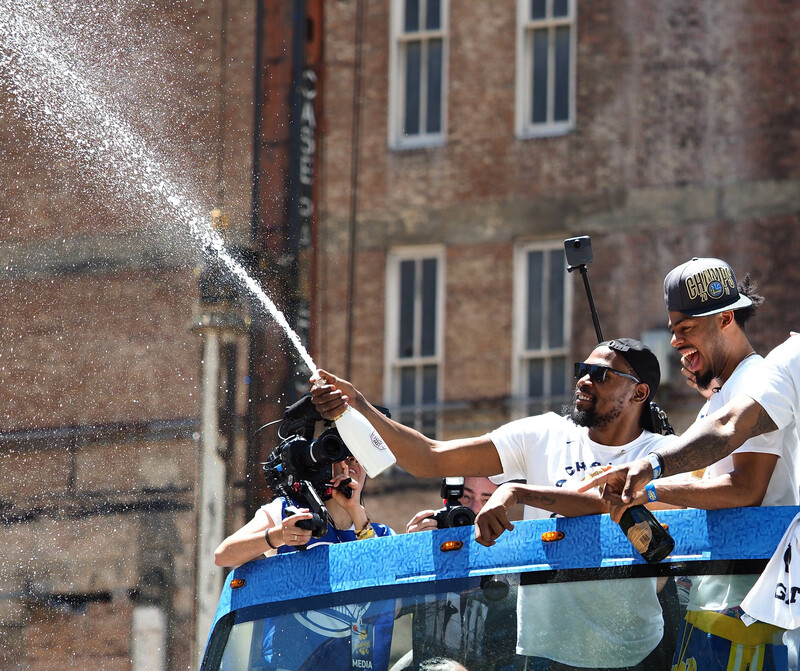 Golden State Warriors forward Kevin Durant (center) sprays champagne during the championship parade in downtown Oakland, California. 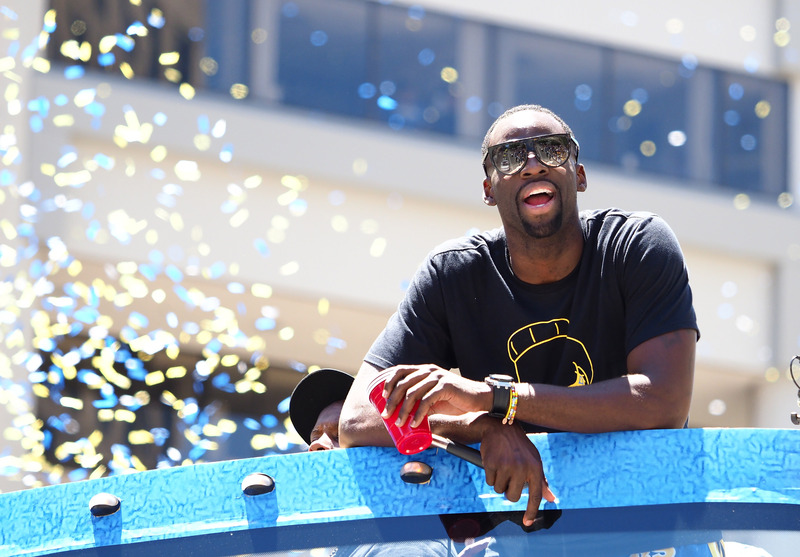 Golden State Warriors forward Draymond Green reacts during the championship parade in downtown Oakland, California. 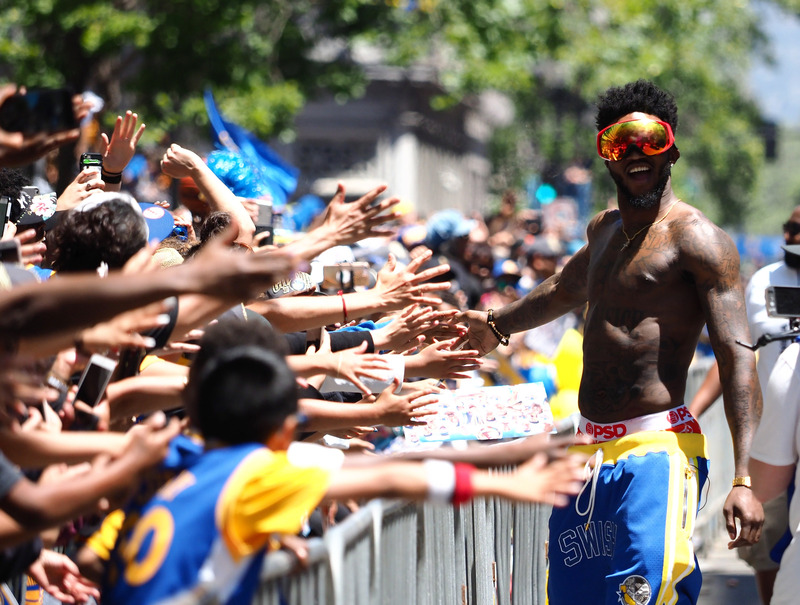 Golden State Warriors center Jordan Bell celebrates with fans during the championship parade in downtown Oakland, California. 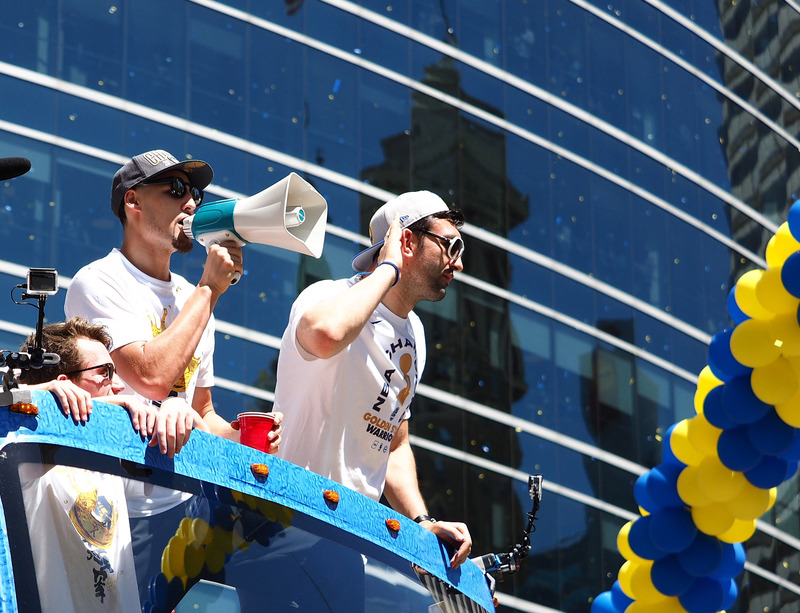 Golden State Warriors guard Klay Thompson (left) and center Zaza Pachulia (right) react during the championship parade in downtown Oakland, California. 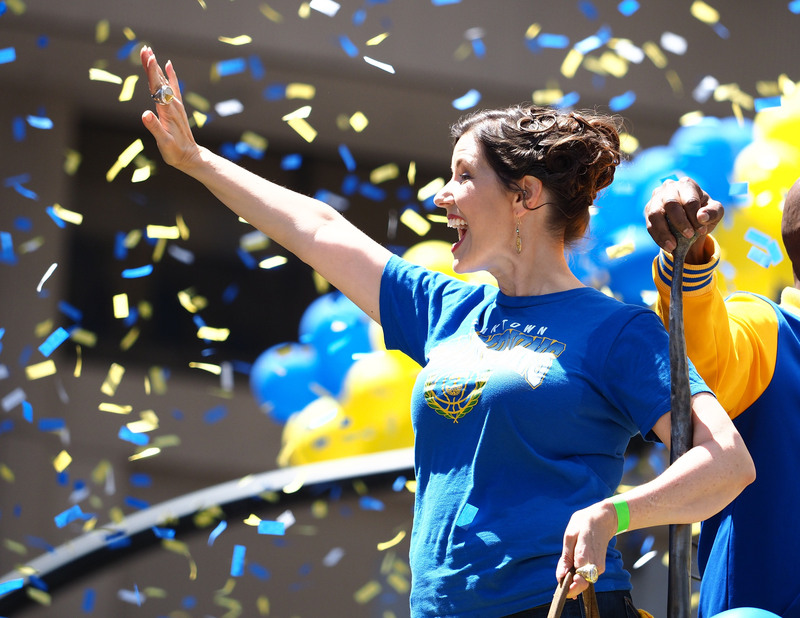 Mayor Libby Schaaf reacts during the championship parade in downtown Oakland. 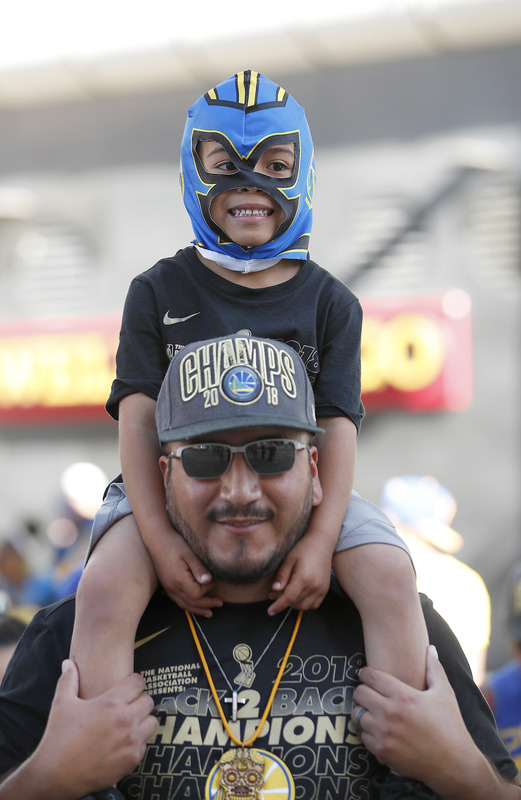 Jose Gutierrez and his son Noah wait for the start of the parade in honor of the NBA champion Golden State Warriors in Oakland, California, on June 12. 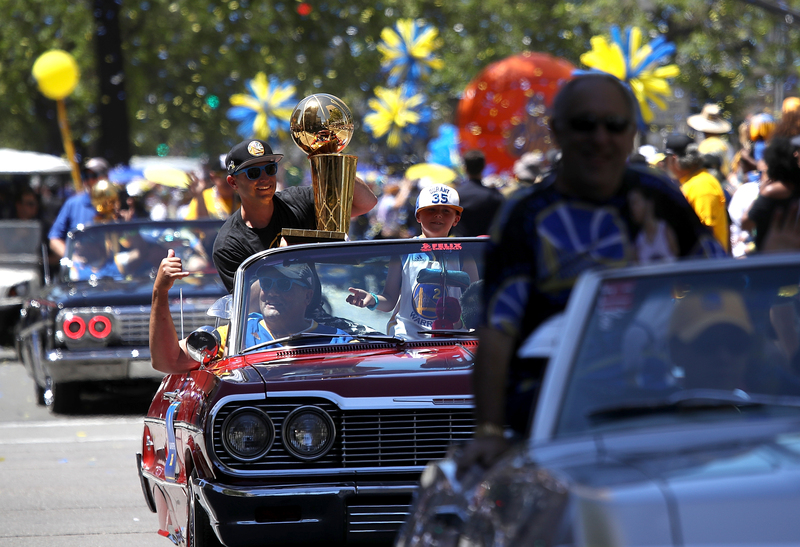 The Golden State Warriors’ 2015 championship trophy is carried in a vintage car during the Golden State Warriors’ victory parade on June 12 in Oakland, California. The Warriors beat the Cleveland Cavaliers 4-0 to win the 2018 NBA Finals. 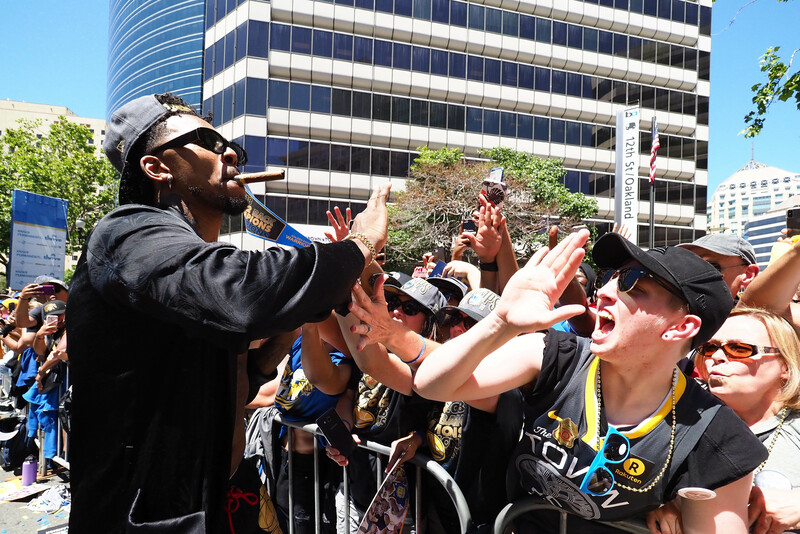 Golden State Warriors guard Nick Young high-fives fans during the championship parade in downtown Oakland, California. 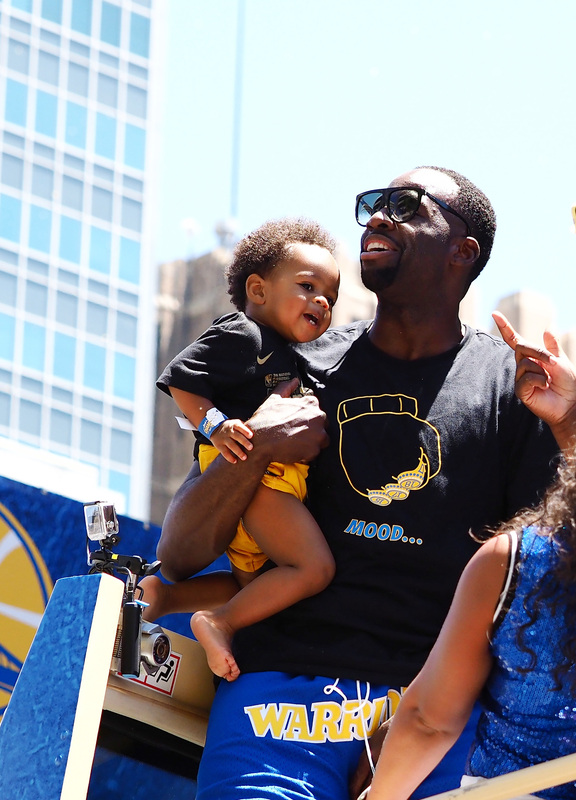 Golden State Warriors forward Draymond Green holds his son, Draymond Jamal Green, during the championship parade in downtown Oakland, California. 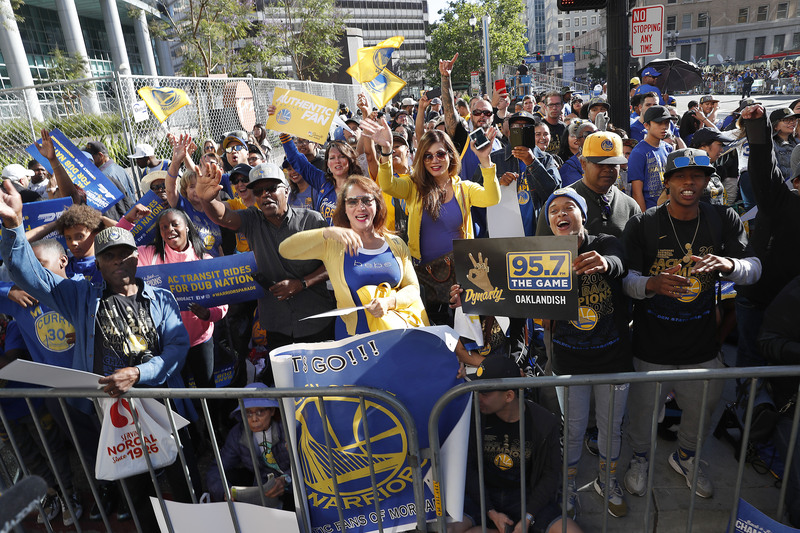 Fans wait for the start of the parade in honor of the Golden State Warriors on June 12 in Oakland, California, to celebrate the team’s NBA championship. 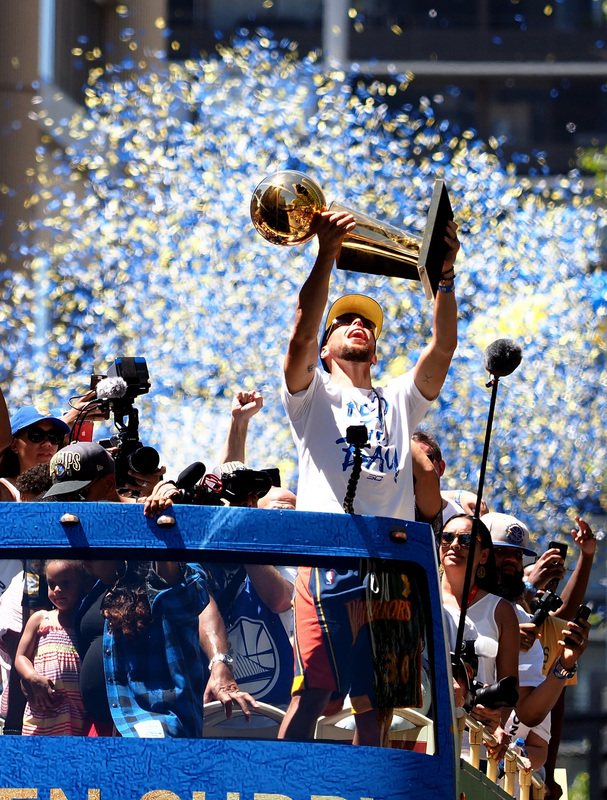 Golden State Warriors guard Stephen Curry holds up the Larry O’Brien NBA Championship Trophy during the championship parade in downtown Oakland, California.